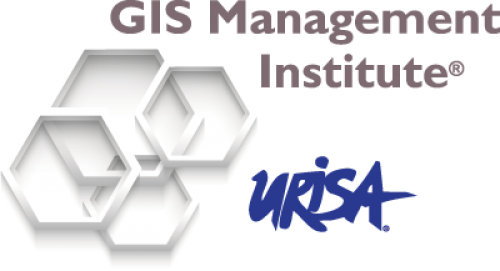 URISA's GIS Management Institute® (GMI) helps organizations identify and implement enterprise GIS management practice improvements. GMI offers the following core products and services to help managers and organizations assess and advance their GIS competency and maturity levels. 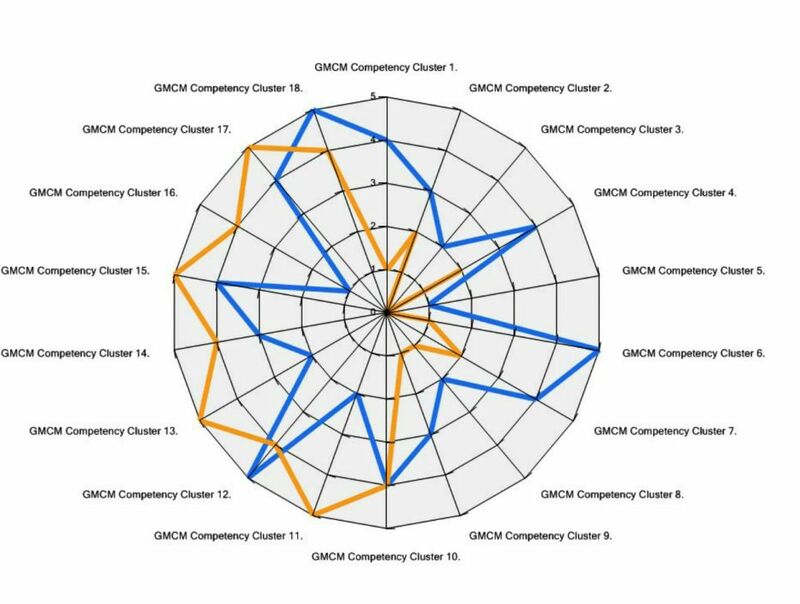 The Geospatial Management Competency Model (GMCM) identifies 74 competencies within 18 competency areas for GIS Management. 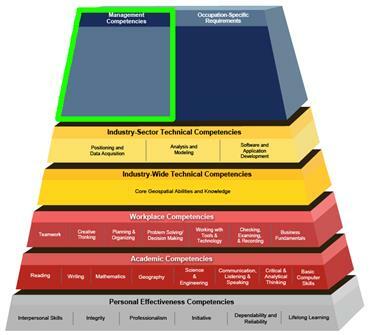 It is a tier of the Geospatial Technical Competency Model, the U.S. Department of Labor Employment and Training Administration’s (DOLETA’s) Competency Modeling Initiative. Enterprise level GIS capability maturity model. A comprehensive assessment of GIS management capability maturity. The assessment tool indicates your organization’s GIS management maturity on a wide range of geospatial capabilities*. Available as part of URISA government agency membership or by subscription. * GISCMM Glossary of Terms: Refer to this document for definitions of the terms used, to aid in completing the assessment. GIS is an essential service and represents a significant investment of resources, including time, money, expertise, and training. 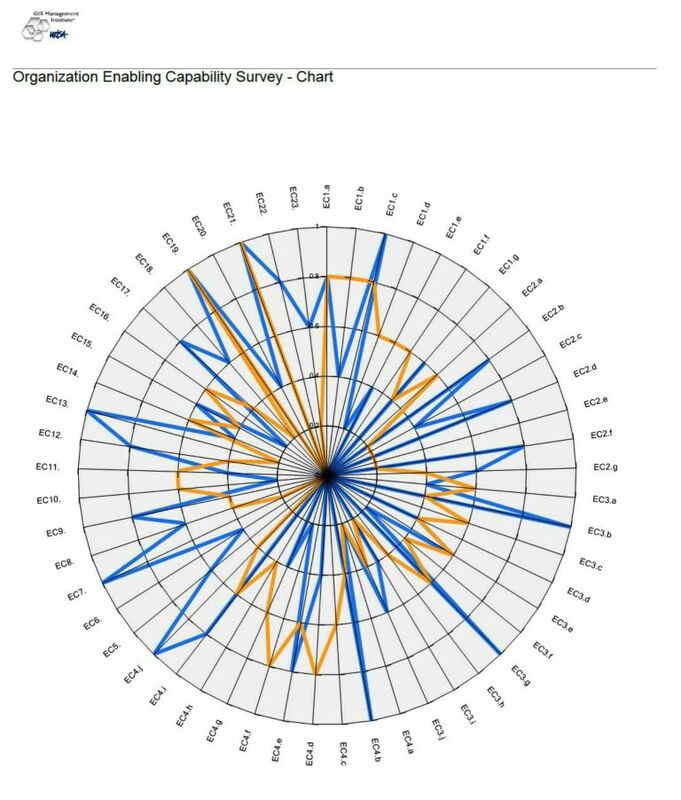 The level of “capability maturity” of a GIS program reflects the results of those investments, and varies within an organization over time. Higher levels of capability maturity enable better operations and decision-making. The URISA GMI GIS Capability Maturity Model assessment service was created to provide agencies with a means to evaluate and visualize the operational maturity of their GIS programs. Results of the self-assessment can be used to evaluate and prioritize next steps in improving GIS operations and effectiveness. Clear presentation of a GIS program’s maturity levels and gaps can lead to support and resources for further growth and new uses of GIS. The CMM assessment subscription service enables GIS managers to monitor progress annually and to compare their results to their peer group. Help program managers develop and communicate program accomplishments to upper management and create program “champions” within your agency. Determine where improvements and investments are needed. Provide input to program planning. Communicate needs for GIS investments (and support future budget requests). Realign operations and services as needed. Improve communication and collaboration within your GIS team and other departments. For the best value, purchase a URISA Agency Membership which includes a CMM subscription. A CMM subscription-only service is also available. The primary contact for your organization (typically the GIS Director or Manager) will receive log-in instructions to register and begin the assessment. staff/stakeholders complete the CMM (on paper) and average the score to submit online. GIS Organization Metric Survey: Information about your organization and your GIS. Enabling Capability (EC) Assessment and Execution Ability (EA) Assessment: Operational characteristics of your GIS. Geospatial Management Competency Model (GMCM): A self-assessment of the capabilities of the GIS Manager or management team. Once completed, celebrate those areas for which you received high scores and review lower scores to identify areas of improvement. Visualize survey results using the spider diagrams (one each for EC, EA and GMCM). Compare results of your agency to both your previous years’ results and the results of an average of agencies with comparable characteristics. Consider using the areas where there are lower scores to justify your resource needs. Completing the assessment just before the budget planning cycle begins allows the results to support justification needed for resources and set program goals for the next year. GMI is working on several more initiatives to help organizations with their GIS management operations. Have Questions? For more information about URISA's GIS Management Institute, contact Wendy Nelson, URISA Executive Director at (847) 824-6300 . URISA Leadership Academy: A five-day course on GIS leadership and management, presented at least annually. The ULA is tailored to industry leaders and practitioners faced with unique challenges of GIS leadership and management and who want to make an impact leveraging the power of GIS. The GIS Management Handbook: A comprehensive guide and reference to the field of GIS management. It provides practical information on the development, implementation, and operation of GIS programs and projects and is valuable resource for seasoned and new GIS managers and aspiring managers. This book takes a practical approach providing clear descriptions of concepts, issues, and practices that may be used in operational settings, in public and private sector organizations to improve and maximize the efficiency of GIS programs and projects.